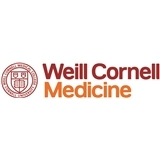 Weill Cornell Adult Internal Medicine (New York) - Book Appointment Online! I'm thrilled to have found Dr. Taylor! She is bright, knowledgeable, takes her time with you and listens. Dr. Taylor responds to emails very quickly, and always does what is best for you, the patient. I had no wait time, and her assistant, Dalia is also very personable and helpful. I would highly recommend Dr. Taylor as a physician.